By employing the direct action options of solidarity unionism, BWU has focused on the unionization part of “$15 per hour and a union." Dressed in his work uniform, Jordan Vaandering looked like any other fast food employee heading into another long shift. But that day, April 26, was far from ordinary for the 25-year-old Burgerville employee. 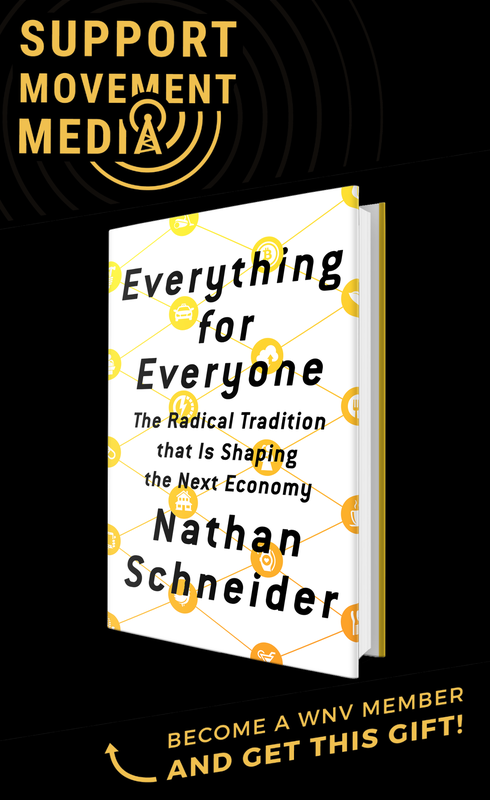 Since Vaandering makes under $10 per hour working at the drive-through, he had decided to come forward as a voice for a growing contingent of workers who want to see a real change in their workplace. Addressing the small crowd of supporters gathering down the street from Burgerville’s corporate headquarters in Vancouver, Washington, Vaandering acknowledged his nervousness. Not only had he never been part of a delegation to meet with corporate leaders before, but this was also the first time he was informing upper management that he and his co-workers had formed the Burgerville Workers Union, or BWU, and wanted to sit down for negotiations. “We are forming the Burgerville Workers Union because we matter,” Vaandering said. “We work hard, we want respect, and we need a raise.” Despite the rising rents and living costs of the Portland metro area, Vaandering and his co-workers are making far below what is needed to survive in the city. The delegation, led by Vaandering and Eli Fishel, another organizing Burgerville employee, brought together leaders from churches and organized labor, including Rob Sisk, president of SEIU Local 503, and Jennifer Graham, director of Unite HERE! Local 8. Once in the company of Burgerville management, Vaandering began explaining how the low wages affect his life, forcing him to put in long hours that leave him — due to previous injuries — almost immobile after a full work week. Graham, speaking for Unite HERE!, whose ongoing organizing at the Portland International Airport keeps her union close to Burgerville locations, spoke about the support they are pledging to BWU. “Our members will be standing with these workers throughout this process to increase their wages and working conditions,” she said. The delegation presented management with a letter, requesting that they negotiate with the union as it currently stands, not mentioning a union election or National Labor Relations Board process. It is this particular point that separates the BWU campaign from much of what we have seen in similar service workplaces. 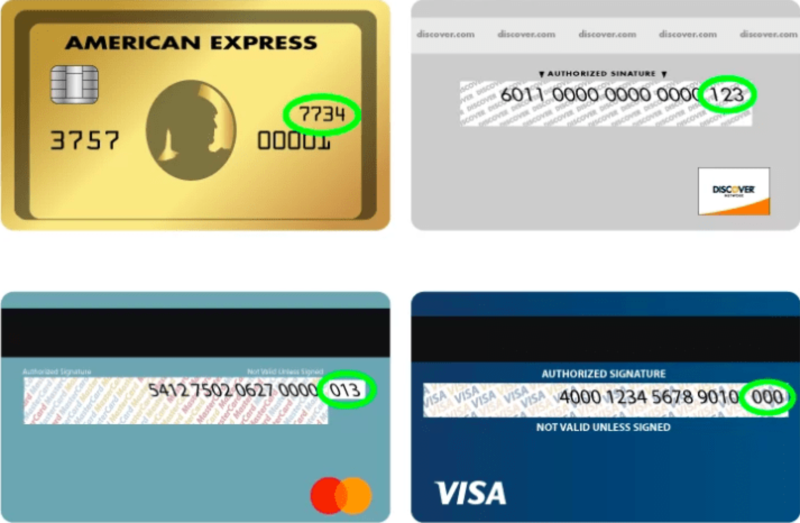 Traditionally, a union would either do a “card check” to see how many workers have already signed a pledge to the union or it would run an election to have management and the federal government recognize that union as the bargaining agent of that workplace. Instead, BWU is letting workers lead the effort, asking for direct negotiations with management rather than immediately calling for a union election. This model of labor organizing — known as solidarity unionism — sees the connection between the workers as the real key to what makes a union, rather than government bodies. In this way, the workers themselves are coming together as workers to bargain with the boss. BWU also told management that it had four restaurants going public, an effort that officially started back around the beginning of 2016. The restaurants — which have a growing organizing committee of workers and a support team of volunteer organizers — were birthed out of the ongoing need to confront what workers report as stagnant wages, a lack of scheduling control and a need for a stronger voice in their workplace. This kind of common understanding about shared circumstances and the need for collective action is what moved the workers to start an organizing committee and begin laying the groundwork for the campaign. While the notion of collective direct action has been a part of the American labor lexicon for generations, it is only recently that the concept has become a standard part of the discussion in fast food, one of the fastest growing industries. Taking inspiration from the national Fight for $15 movement started by the SEIU, the Burgerville Workers Union is focusing on bringing back the union piece to the larger fight for a $15 per hour base wage. Over the past several years the Industrial Workers of the World, or IWW, made waves in organizing drives at the Jimmy John’s sandwich chain, starting in the Twin Cities, and at Starbucks in the Northeast. In both cases, independent unions affiliated with the IWW and became one of the most pronounced worker-led organizing drives in the mid-2000s, raising the bar for what union organizers thought was possible with direct worker campaigns. The IWW has focused on organizing these types of service positions while using a solidarity union model. BWU has chosen to affiliate with the Portland local of the IWW, maintaining that strong connection to the solidarity unionism that has inspired this wave of low-wage worker organizing. Some of the inspiration for the direction of the campaign came from the series of public shops that the United Campaign Workers organized in the Portland area in 2014, where political petitioners and fundraisers formed an independent union to confront allegations of wage-theft, high turnover and unpredictable working conditions. Those who saw a need for direct unionism in their workplaces found an ally in the IWW, which often uses these tactics as a way of making tangible gains through the direct decision-making of the workers themselves. While it’s not unusual for service worker unions to affiliate with the IWW, it is unusual for there to be such widespread community and labor support for it. SEIU 49, IATSE Local 28, the Portland Association of Teachers, ILWU Local 5, the Portland Solidarity Network and a slew of other unions and community groups came together for official endorsements of the union at the event last month. This collective support could indicate a sector of unions that are becoming more and more friendly to direct-worker organizing outside of a National Labor Relations Board process that critics often say is weighted in favor of the bosses — resulting in low union density, which was down to 11.1 percent in 2015. Unions like Unite HERE Local 8, which now represents service locations like Starbucks at the Portland International Airport, went a step further, including joining the official worker delegation to Burgerville, as well as setting up its own member delegation. On April 27, a delegation from Unite HERE joined a Burgerville worker from the airport location to further show support from the union for the fast food workers. This broad support from the community and labor showed up in full force at BWU’s premiere rally, which happened at the same time as workers were delivering their letter to Burgerville headquarters in Vancouver. Held at the historic Clinton Street Theater in downtown Portland, the rally featured speakers from Black Lives Matter PDX and other organizations talking about the importance of workplace struggles and their own place in the labor movement. After the rally, the workers led the hundred-plus supporters to the nearby Burgerville location, where they passed off an additional letter to on-site management, letting them know that they have a legal right to organize. Supporters followed suit, coming in to order food and declare their support for the union, even placing tip jars stuffed with cash. With four restaurants now publicly organizing, and the possibility of more announcements in the coming weeks, the union is looking to sit down with management to negotiate on wages and working conditions. Workers are asking for a $5 per hour raise, one that would put them up to a living wage for the skyrocketing costs of the Portland metro area. Beyond this, healthcare, safety improvements, maternity leave, childcare and travel stipends are all on the table. These negotiations could be without the federal legal framework, yet one that is still supported by the collective action of the workers and the ability to go on strike. This does not preclude a union election later if workers choose that direction, but this is a tactical choice that they can make as the campaign continues. The direct action options of solidarity unionism that BWU has been employing may be exactly what labor organizers are looking for to take the Fight for $15 to the next level — once it sustains a series of minimum wage increases. With the battle originally being fought for “$15 per hour and a union,” many are asking what happened to the unionization component as the wage struggle shifted to a minimum wage campaign. This most recent surge — which focuses on unionization not just as the answer to a wage increase, but also as a fundamental shift in the balance of power inside the workplace — could help to re-establish a broad movement to unionize the low-wage service sector. 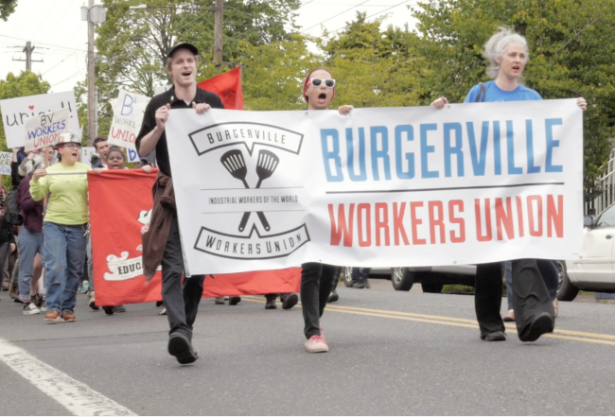 For the workers at Burgerville, growing this larger movement is essential to seeing those material gains in the workplace. The union has begun an aggressive social media campaign, where supporters from across the world, from Sweden to Chile, are taking pictures of themselves holding signs of support. I don’t understand. They say the cost of living is too high, why are they not protesting the cost of living? Protest your landlord, a grocery story, or a gas station. What does your employer have to do with it? Burgerville’s new motto: “Burgerville, the home of the original $23 burger”. Burgerville’s upcoming press release: Burgerville announces the closure of all retail locations pending the conversion of owned properties into parking lots.